Yellow, blue and a touch of green singing the sweet sounds of summer. Photographed along the shores of Chatfield Reservoir. Near Denver, CO.
Good image, really like the contrast between the sky and the bird and just as he/she was singing. Good job! 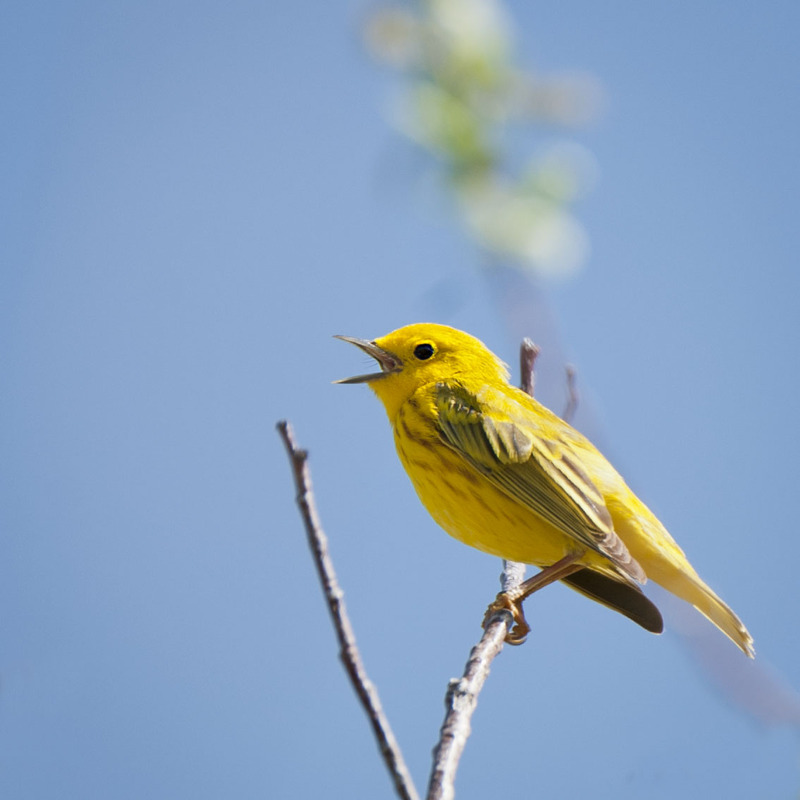 Thanks, the blue sky with little yellow warbler just somehow feels like summer to me and the song is just gravy, Hop your doing well and wishing you a great weekend. Oh, my! What is the little creature? It seems too yellow to be a finch. Hi, this guy is a little yellow warbler. Hi Jet, that yellow just makes it feel like summer. Hope your doing well and wishing you a great holiday weekend. Little for sure and these guys never seem to stand still, except when singing. Hope you have a great weekend.